This week, the lovely Jess Jarman and I are blogging about three things we’d like to learn how to do. And, I’m excited to say that the equally lovely, Leigh Jones will be joining us. You can read Jess’ post here and Leigh’s post here. And welcome to the random Wednesday blogs, Leigh! We’re glad you’re here! I resist change like you wouldn’t believe. New version of Word? Nope. I’ll stick with my Word 2007, thanks. New phone? Nah…I’m good. This one still works. Mostly. Switching cable companies? Noooooooooooooooooooooooooooooooooooo…I’ll have to learn new channels and a whole. new. remote. However, (and very strangely, I might add) I like having learned. And I really don’t mind learning things that have nothing to do with technology. Well, I’ll admit, I resisted circular knitting needles *for years*, but I just recently mastered them and they’re totally easy to use. 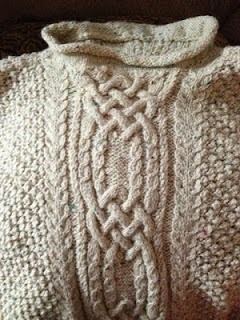 But circular needles aside, I typically like learning new things. Here are a few things I’d like to learn how to do in the relatively near future. 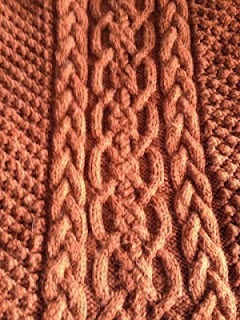 I’d like to actually learn how to read a knitting pattern and make things like this. (Spoiler alert: This pattern will not make any of the things shown below.) Actually, these are sweaters that my mom made for me. Because she’s awesome. I’d like to learn how to grow my own vegetables. And maybe some fruits, too. After spending many summers on both grandparents farms, I feel like I have a handle on picking fruits and veggies (strawberries, beans, blackberries, black and red raspberries, cucumbers, tomatoes, potatoes, corn and allllll the squashes) but other than vague ideas, I’m really not sure how to grow my own. That’s gonna change this summer. This girl is planting a pesticide and GMO-free container garden! I’d also like to learn to reupholster my own furniture. You see, I like old things. And I like cats. These two things don’t always go well together. As evidenced by my beautiful, but shredded antique rocker. My cats are kind of bastards. So those are some of the things I’d like to learn to do. What about you guys? What do you want to learn to do? I really want to take swing dance lessons! The community center near me had a class last summer but the times were inconvenient and they haven't had another option since then. My friends are getting married in droves so it would be nice to be more confident on the dance floor. @Alice – I love the look of swing dancing. It seems like so much fun, but I'm afraid I'd hurt myself. And others. I hope you get to do it, though! @Jess – That's exactly my worry, too. But I *love* that chair. @Julia – I wish we lived closer. We could have a reupholstering party! Reupholstering furniture is a great one! I like going to into “antique” stores and looking at old furniture, but I don't usually love the fabric patterns. I say go for the garden! I planted one for the first time a couple of years ago and I love it. So far I've only been really successful with tomatoes, but it's a start. @Leigh – When the snow (eventually) melts, we should go antiquing sometime. That would be fun.